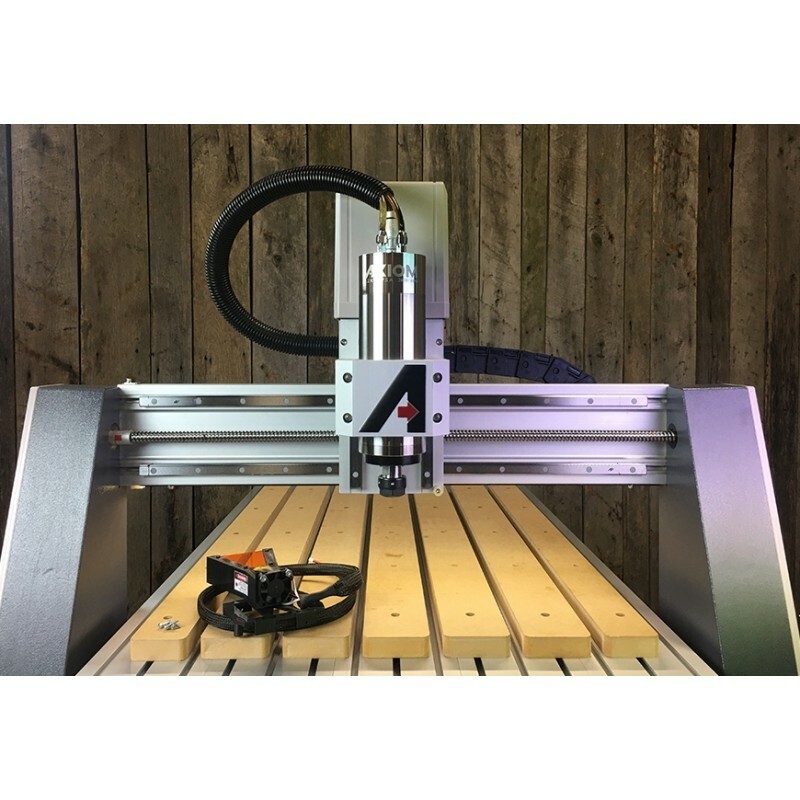 Built by J Tech Photonics specifically for any Axiom AR series CNC machine, this is the strongest laser accessory available in the market. Engrave on wood, leather, acrylics, and many other materials. Cut thin and soft woods like Balsa, Basswood, and many other types of materials like foam, paper, cloth and acrylics. 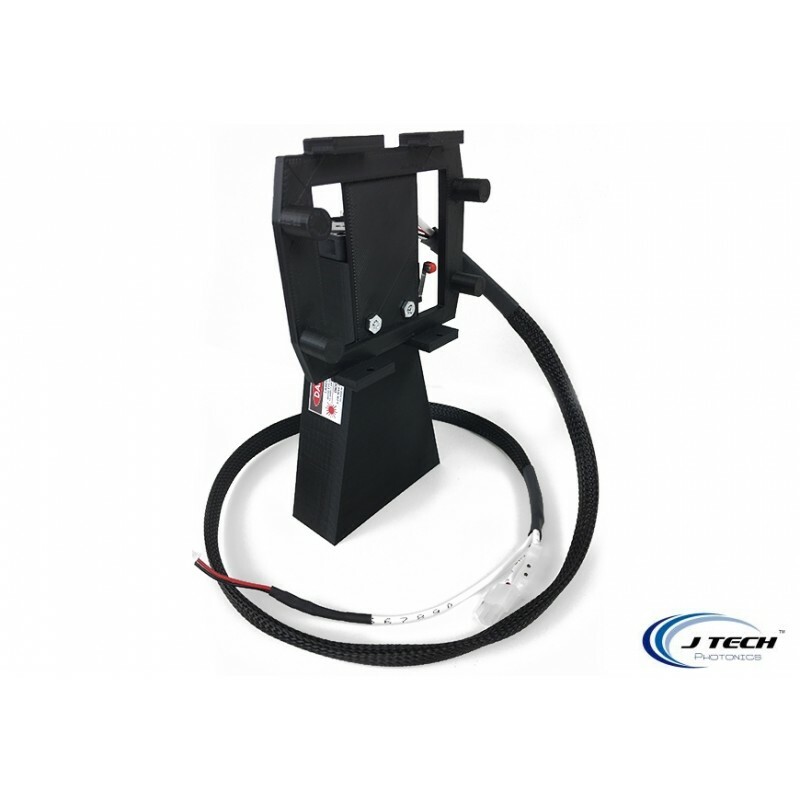 Compatible with all Basic, Pro, Pro+ & Elite Series machines. Key Switch – A key is needed to enable the laser. When the key switch is turned on, the laser is enabled and the key CANNOT come out. You can only remove the key when it is disabled. 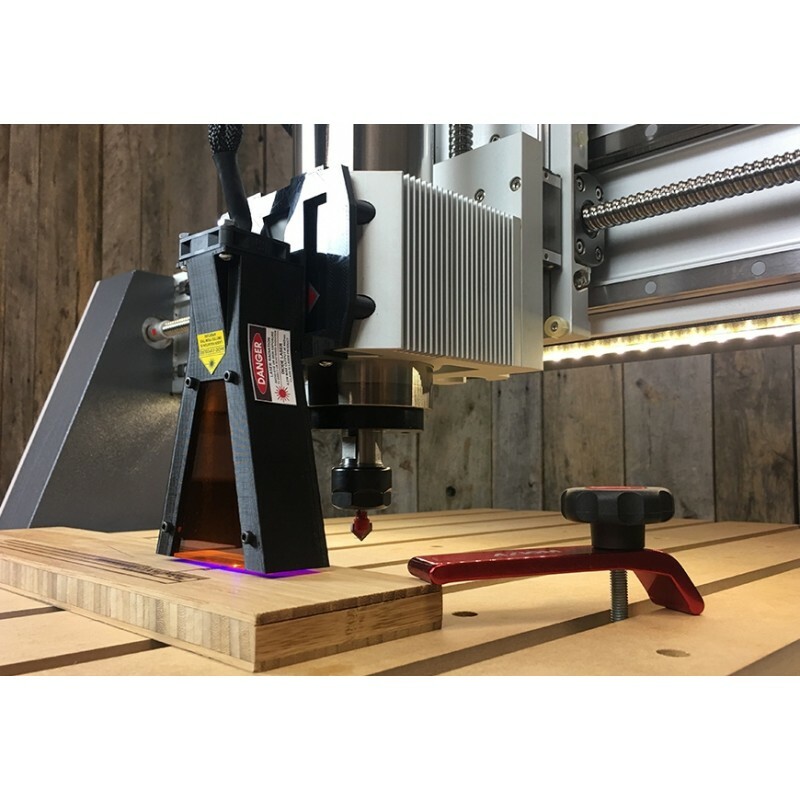 This feature is good if you have curious children or have your laser in a shared area and want to limit use. Just take the key out and hide it! 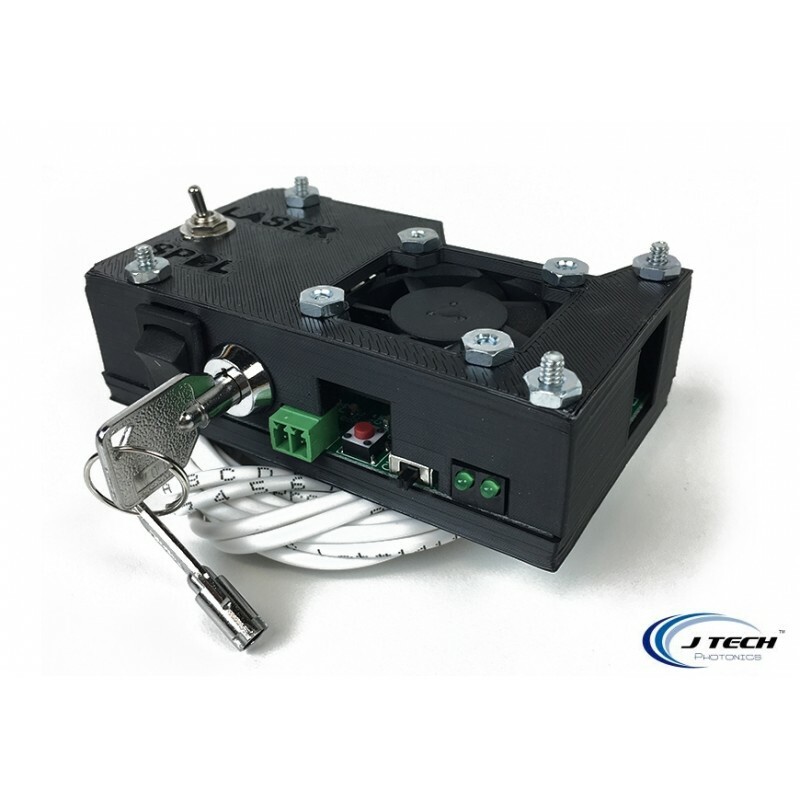 Remote Interlocks – This feature allows for addition of a switch on your enclosure so when it is open, the laser will automatically turn off. 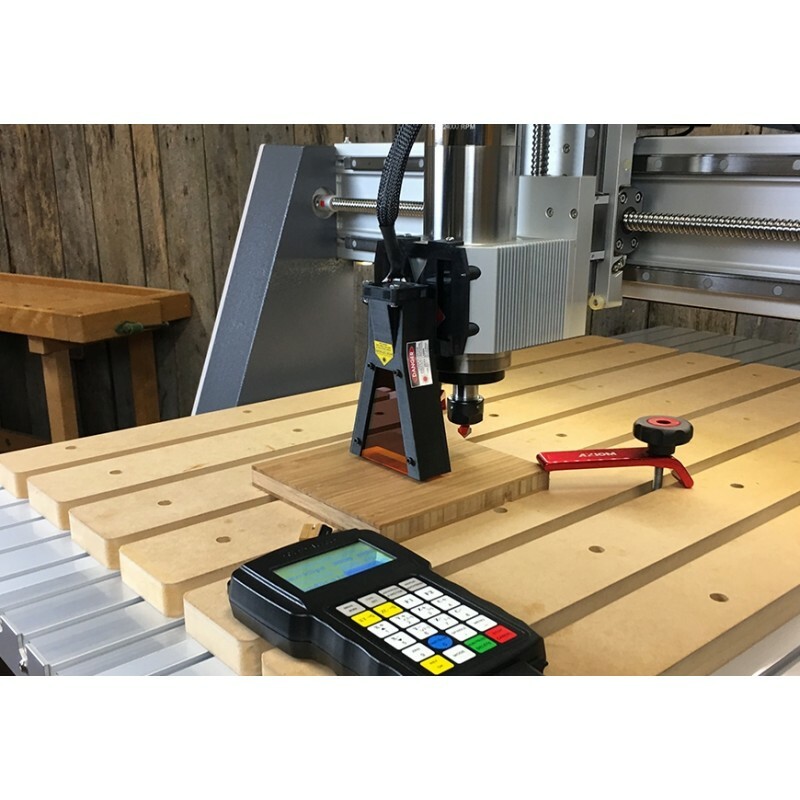 An interlock switch is also installed on the rear surface of the laser which insures that if the laser is removed from your Axiom CNC router, the beam is interrupted. They’ve also added an E Stop button for the laser, which is always good for if you need to stop the laser quickly! 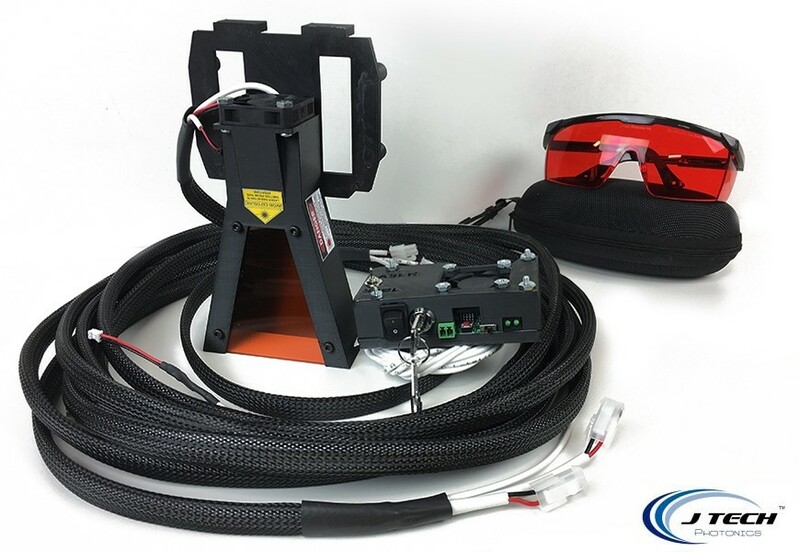 Power Fault Protection – In the event of a power failure, your laser will be disabled, preventing the beam to illuminate as the power is restored. Simply press the reset button and you are back in action! Emission Indicator – The small little LED on the front to let you know when your laser is on. 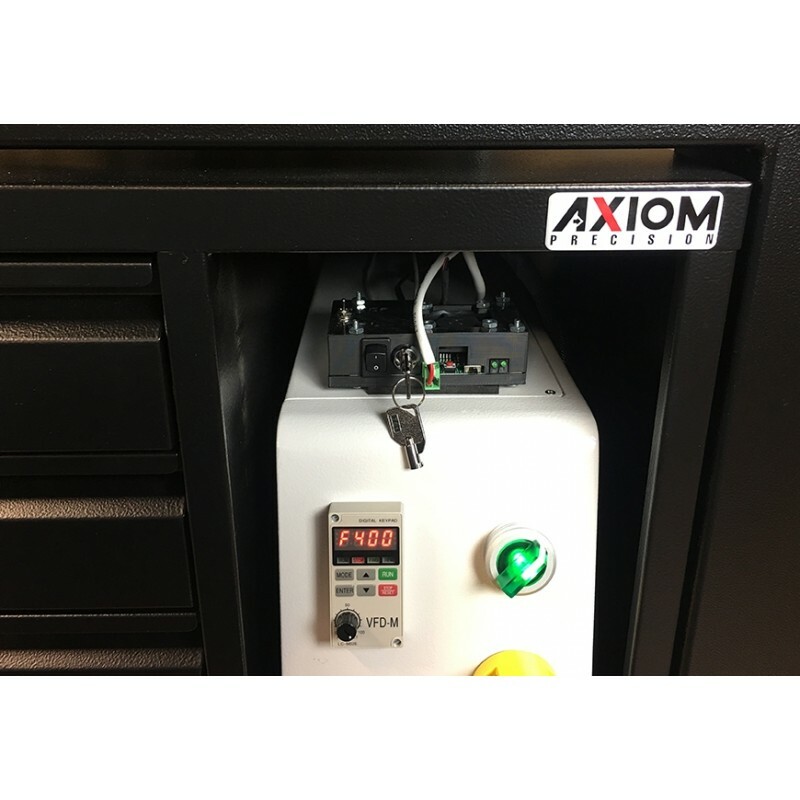 This kit is specific to the Axiom Precision line of CNC machines. This has everything you need to get your laser up and running on your Axiom machine. The laser unit does not allow for software variability of output intensity. Therefore greyscale is not supported. 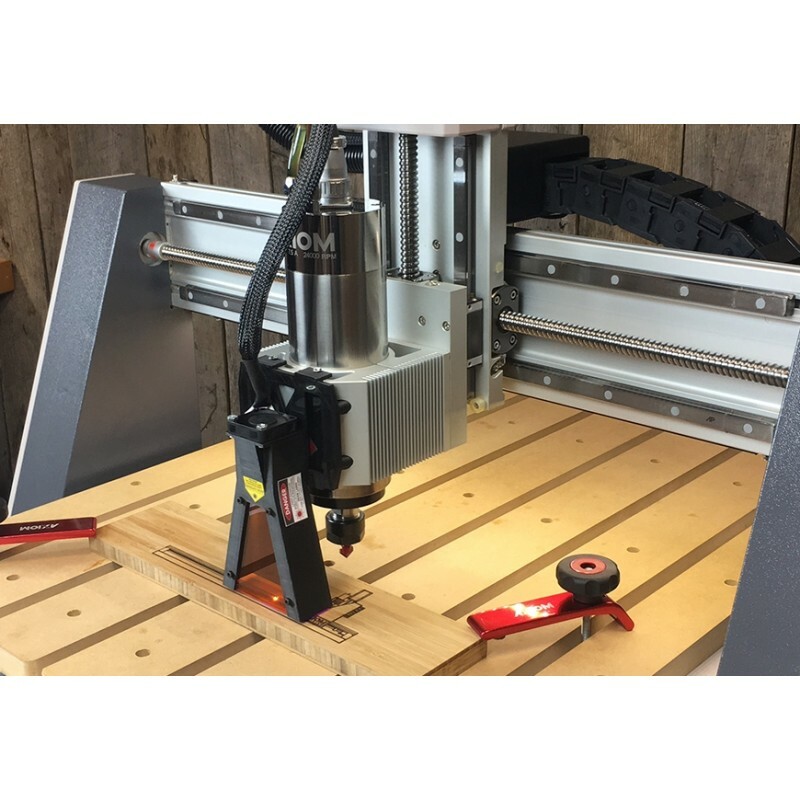 This is the strongest available laser offered on the market. We set the current to the maximum level recommended by the manufacturer to achieve a high level of power while still allowing for maximum lifetime. -Note: The beam is slightly rectangular. Focused size specification is for the long axis. -Above specifications are for reference purposes only and are subject to change. Figures in specifications may contain measurement errors. Driver Overview This is the fourth generation of the popular High Current Laser Diode Driver series. We designed this new generation to follow the federal guidelines for safety compliance for high power Class 4 laser operation. 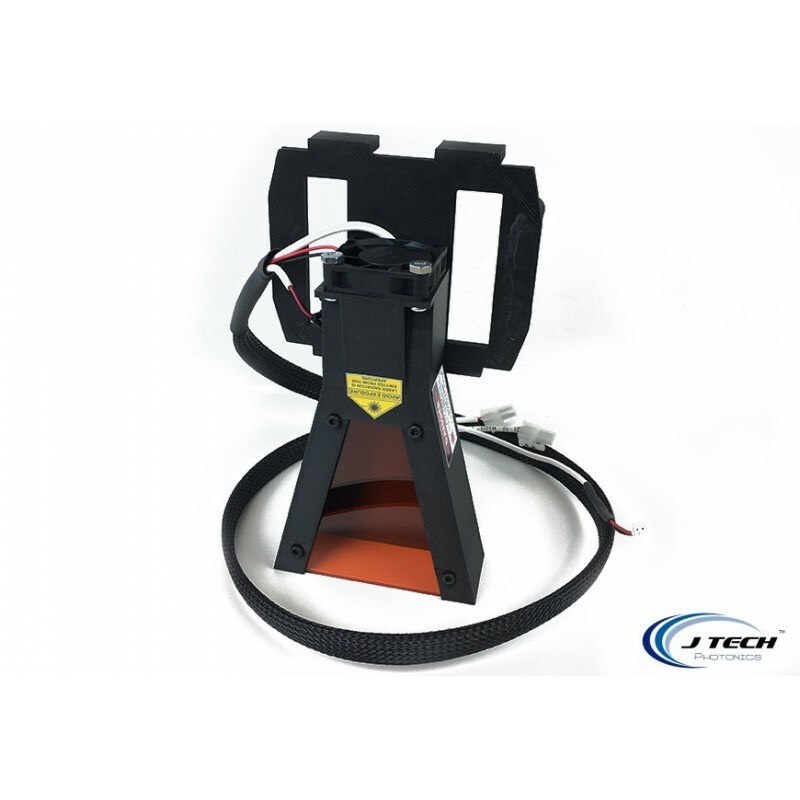 This includes the use of a key enable switch, safety interlock system, power off reset, and laser LED indicators. 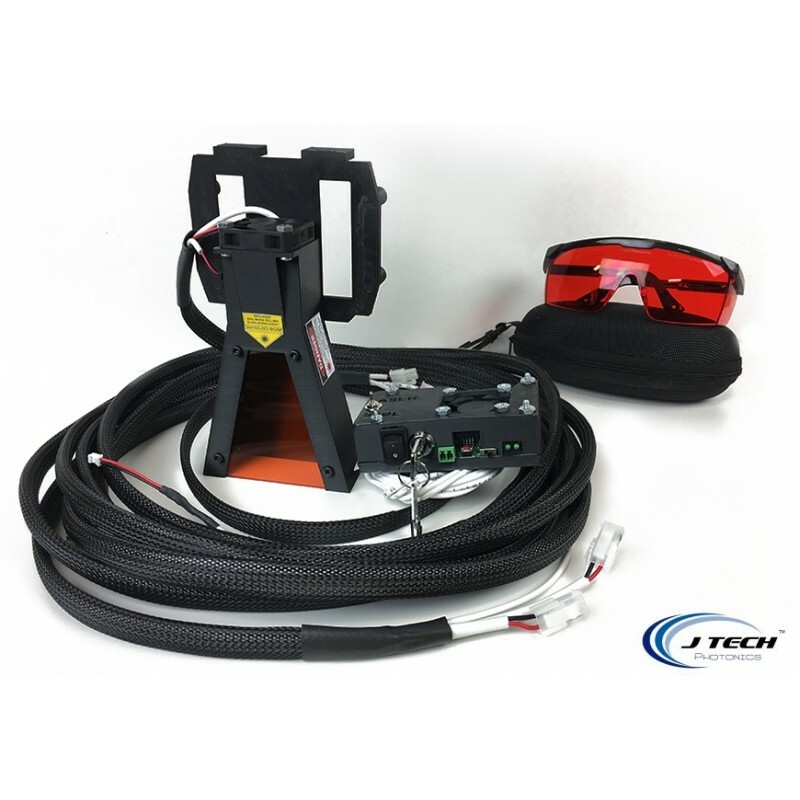 All of these features make for a safer laser operation and will comply with federal laws regulating such operations. 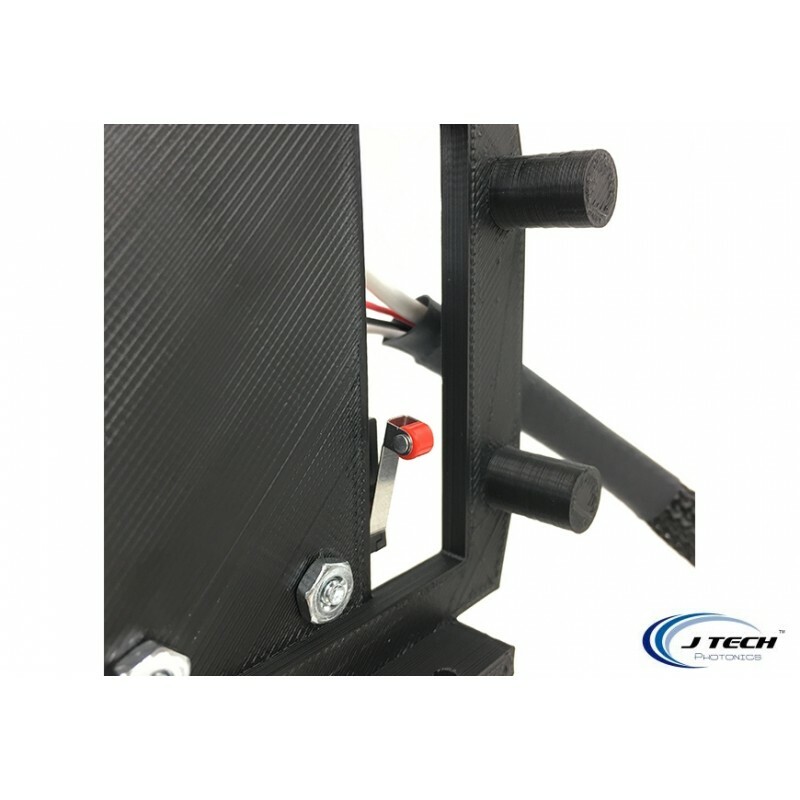 The driver comes with pre-wired connections to integrate into the Axiom machines quickly. • High power current source for driving Laser Diodes and Light Emitting Diodes. • Current Range of 2.5 Amps. • Current Ranges are adjustable in 500ma increments. • Soft start for diode protection. • Reverse diode and ESD protection. 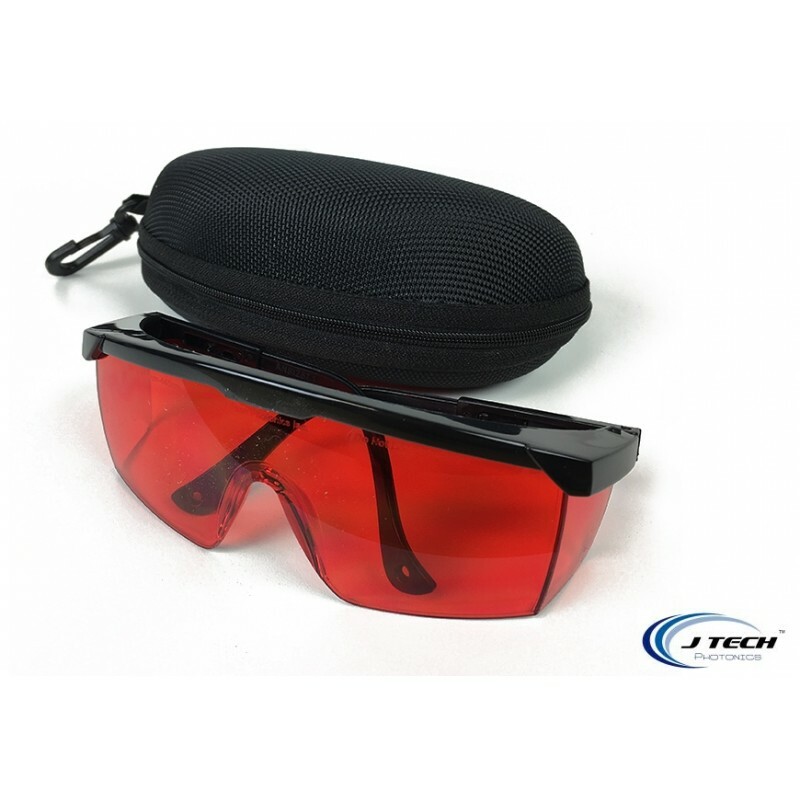 • Thermal Protection and Over Current Protection. • CW Mode and Input Control Mode. • Digitally isolated control input. • Control from CW to 5KHz. • Configurable Input signal: Inverting /Non-Inverting. 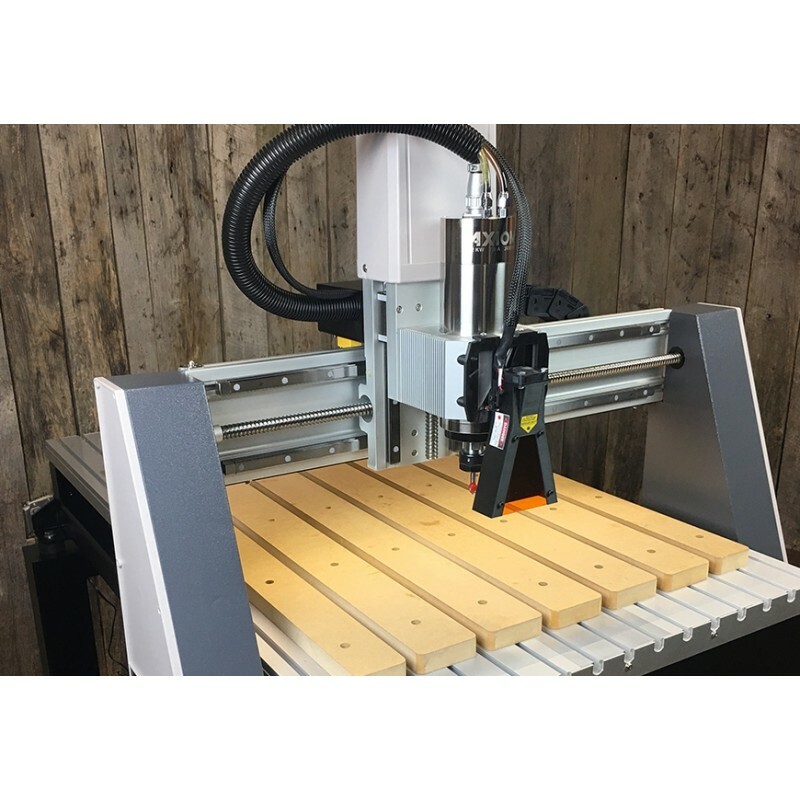 • Multiple connector options for both Laser/LED output and control input. • LED status lights for input laser enabled and laser on.